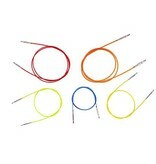 These flexible interchangeable cords work with all styles of Knitter's Pride interchangeable knitting needles. 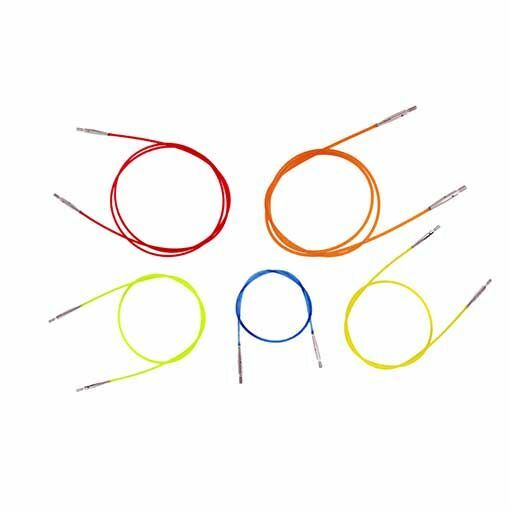 Cord sizes each have their own color for easy size recognition. This pack includes one cord, two end caps and a tightening key. 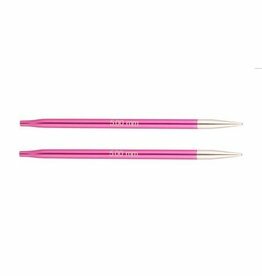 Dreamz Interchangeable Knitting Needles provide a smooth join, tapered needle point, and an array of vibrant colors to allow for easy needle size identification. 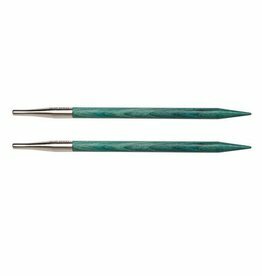 Finally, an interchangeable wooden needle especially designed for hat knitters. 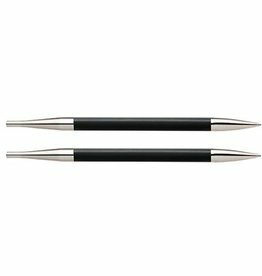 These tips measure 4" and create a 16" needle when used with an 8" cord. 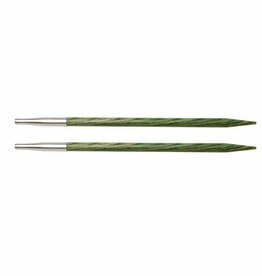 The Zing Special Interchangeable Tips are perfect for those that love knitting hats. 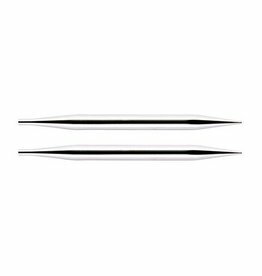 These needles measure 4 inches in length with smooth joins and pointy tips.